Sarah Rood of North Street! This picture with her pups Luna and Rory is getting printed on a custom t-shirt by Timmy D. at Lakeshore Graphics in Lexington. 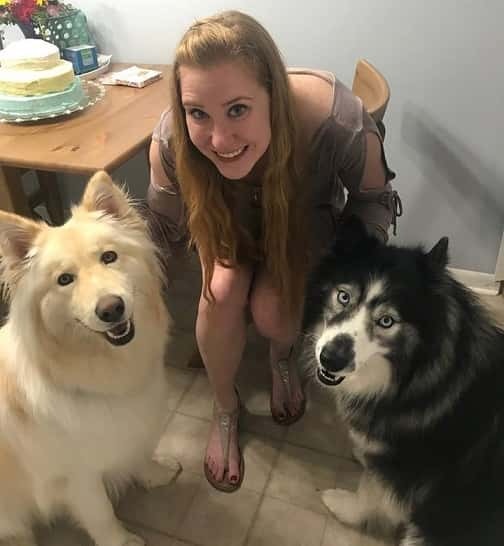 Be sure to give you dogs lots of treats for making you a winner today Sarah!